Daily Bible Verse 101: Congratulations to you who are poor. “Blessed are you who are poor, for the kingdom of God is yours." (Luke 6: 20). St Luke gives his version of the Beatitudes in Luke 6: 20 - 26). The Beatitude is a faithful portrait of the character of Jesus the Messiah, the Faithful Servant. It begins with a key attribute: material poverty. Jesus was born of poor parents in a manger. He lived in a poor neighborhood of Nazareth. After he attained the age of puberty, He became an apprentice carpenter in His father's workshop. When Jesus began His teaching with "Congratulations to you who are materially poor..." His audience would have been delighted. Let us head to the Catechism to see what the Church teaches us on the Beatitudes. 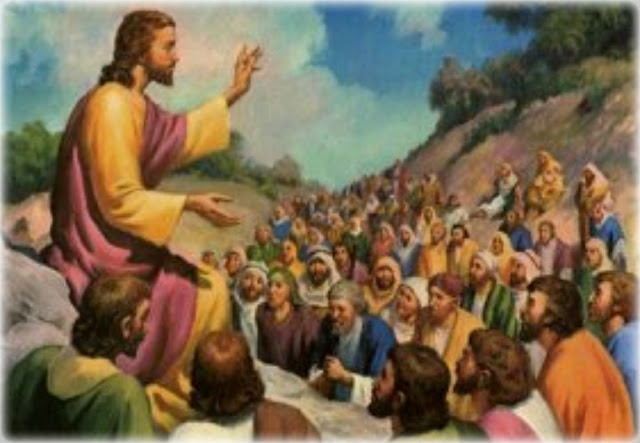 "The Beatitudes reveal the goal of human existence, the ultimate end of human acts: God calls us to his own beatitude. This vocation is addressed to each individual personally, but also to the Church as a whole, the new people made up of those who have accepted the promise and live from it in faith." (CCC 1719). Man does not live on bread alone. Man does not live on money alone. There is life for man in every word that comes from the mouth of God. (Cf Matthew 4: 4). The Beatitude is the blueprint of our Journey of Faith. Follow it as faithfully as you follow the GPS and it will lead you to our true Homeland.